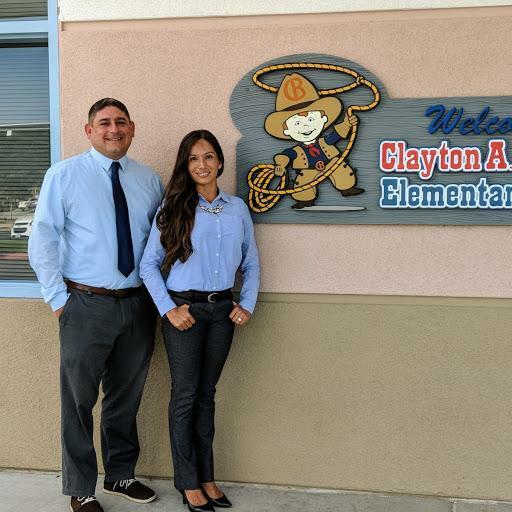 The 2018-2019 school year represents Clayton A. Record, Jr. Elementary School’s fifteenth school year. We are dedicated to meeting ALL students needs. Students will be participating in a W.I.N. (What I Need) block each day, Monday through Thursday, which is specifically designed to be a maximum 40-minute block of no new content reteach time to meet student needs at their specific levels in both English Language Arts and Math. We are focused on essential standards and prerequisite skills to support all levels of learning. This way we can provide TIER I, TIER II, and TIER III support for ALL our students. ALL Ranchers, Learning Together Today, Leading Tomorrow. Our data has shown that there is a need for increased reading on the Record Elementary campus. Therefore, as a staff, we are focused on building literacy skills in all our students. We are working on providing students with daily instruction about reading, utilizing effective strategies. We are focused on the consistent implementation of a balanced literacy block each day with all five components (read aloud, shared reading, guided reading, independent reading, and word study). We are also integrating writing into all content areas. The structure of literacy is essential in each classroom so that each instructional moment propels students forward as readers and writers. Every day throughout the year, teachers read to students during the read aloud, read with students during shared reading and guided reading, and listen to and assess students’ reading during independent reading. Reading with every student every day at their specific level is critical to their progress and growth. Guided reading is an essential component of a balanced literacy block to teach effective reading strategies to students and to monitor daily student progress in reading. Our Record Library houses over 3,000 guided reading leveled six packs of books for teachers to utilize specifically for their students and their various levels. Teachers are assessing students formally three times a year using the Developmental Reading Assessment (DRA) as well as the I-Ready Diagnostic to determine student levels. Also, teachers pull guided reading materials weekly to support their student’s specific growth and progress in reading. Finally, teachers plan their writing instruction and integrate throughout the literacy block so that they model excellent writing for students, share the pen with students during shared and interactive writing, and conference with students as they write independently. Our teachers are focused on ensuring rigorous instruction by using our new Common Core Student Standards-aligned curriculum called Wonders. In addition to this curriculum, we are integrating strategies like close reading and purpose statements to support all students and their diverse needs.